President of the La Brea Fisher Folks Association Alvin La Borde PHOTO BY ANIL RAMPERSAD. 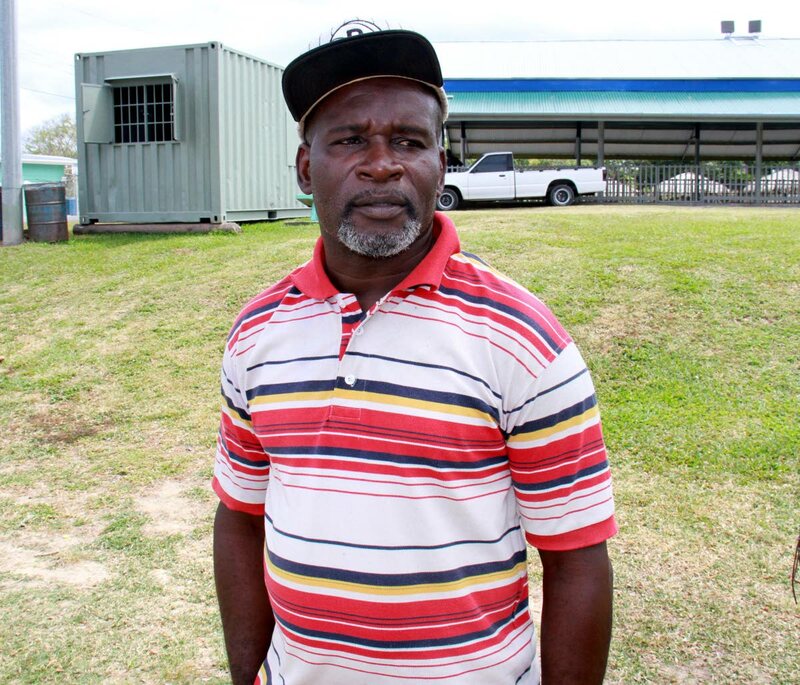 THERE is an adage that a fishermen never says his fish is rotten, but president of the La Brea Fisherfolks Association Alvin La Borde, yesterday told citizens that the fish in the southern peninsula is good to eat. “This fish is safe. Somebody is deliberately misleading the public and affecting fish sales at a time when fishermen could make a little extra money. Go back and do your research and you would see this is an annual recurrence. Last year they dumped it but because of the direction of the current, it ended up on the Mosquito Creek,” La Borde said. His comment comes in the wake of several species of dead fish washing ashore on the Carat Shed Beach on Monday morning. How the fish and two pelicans died will remain a mystery as the Institute of Marine Affairs (IMA) said the fishes were too advanced in the stages of decomposition to be sampled and tested. La Borde is of the firm belief that the fish was dumped. He said this has become an annual occurrence around Easter time disrupting the fishermen’s livelihood. He said the fish which showed up on the beach were already decomposing and could not have died late Sunday night or early Monday morning. He said they appeared to have been kept in cold storage and dumped sometime in the early hours of Monday. Fishermen and Friends of the Sea (FFOS) corporate Secretary Gary Aboud disputed this argument, saying there were no marks on the fish to indicate they were in a net or trawler. He said they were fresh. The Environmental Management Authority (EMA) also confirmed that the fishes and pelicans were in advanced stages of decomposition during their site visit on Monday. La Borde said there was no sighting of dead fish on Tuesday and submitted if remnants of the chemicals used to clean up a Petrotrin oil spill five years ago is still in the mangrove, and being blamed for causing the fish kill, why it had an effect on the fish and pelicans on Monday only. The EMA also revisited the area on Tuesday but could find no dead fish at Point Sable beach. It said the decomposing fish observed on Monday at Carat Shed, were still on the shores yesterday. La Borde said he and other members of the association have since cleaned up the carcasses from the beach as the Siparia Regional Corporation (SRC) which is responsible for cleaning up, were delayed by the erosion of land at Cedros and collapse of at least one house into the sea. Reply to "Fishermen: LaBrea fish safe"